Awards: Has done a large number of hip and knee replacement surgeries. Also presented papers at national and international conferences and published a number of articles in various orthopaedic journals. Regularly attending various specialty national & international conferences to keep abreast with the latest techniques in orthopaedic surgery. Memberships: Director and head of orthopaedics department atShashwat Hospital Aundh. 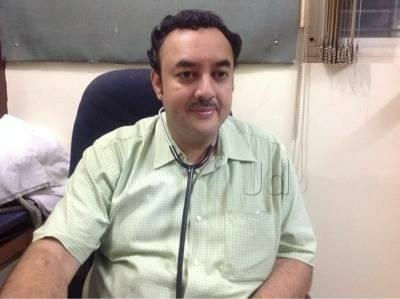 Dr. Rajendra Latkar practicing in Aundh at Latkar Hospital since last 21 years. Director and head of orthopaedics department atShashwat Hospital Aundh. Having wide experience in adult and pediatric trauma – simple and complicated fractures. Having done & Johnson Fellowship in Johnson Joint Replacement Surgery. Has done a large number of hip and knee replacement surgeries. Also presented papers at national and international conferences and published a number of articles in various orthopaedic journals. Regularly attending various specialty national & international conferences to keep abreast with the latest techniques in orthopaedic surgery.